Blue Soul is a rich album because Delphine traveled to the four corners of the world singing blues, pop, soul and reggae. She met a lot of people from all walks of life and worked hard to become a real pro but also because she found the strength to keep a high level of demand until the last second of this recording. "I think you can learn a lot about me by listening to this album," she says. To better understand who Delphine is , let's go back a little. In 2011 a pair of authors-composers recognized in this trade wrote him a dozen titles pop-groove and she is about to sign an artist contract with a major. But after reflection, not feeling really comfortable in this costume of pure interpreter, she decides to change course. One of his great passions is directed: THE REGGAE. She joined the choir of the Burkinabe Marcel Sawuri and joined the 57 Roots Band as a singer - they will always remain faithful to them: three band musicians are still part of the team today and have composed for "Blue Soul" . 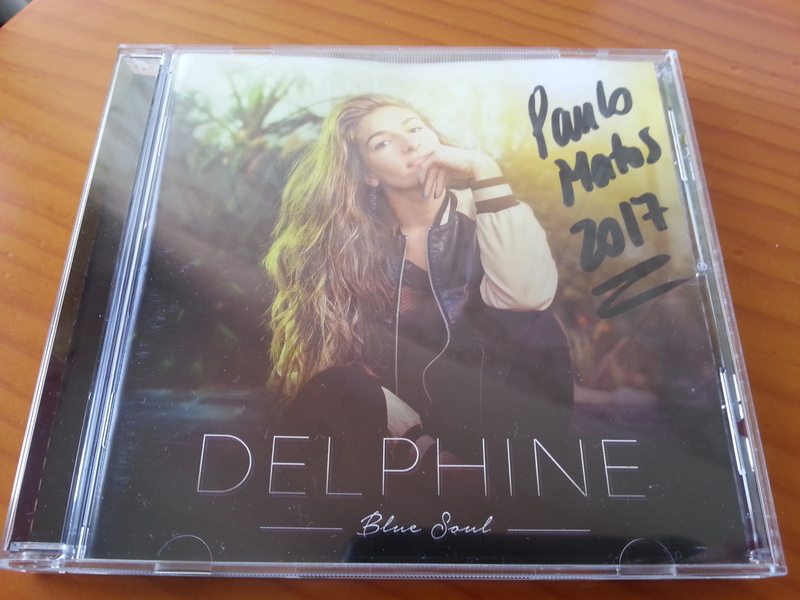 In early 2014, Delphine took over her solo career with a first album. She could have made models and go around the labels but she opts for self-production because she knows exactly what she wants: "to not waste time, be effective and meet my desires, I preferred everything Take control, " she said. She wants the best musicians and engineers of the moment in France or abroad even if she travels to London, the United States or Jamaica. Then she deploys extraordinary energy, borrows money, invests most of her intermittent salary in this project and discovers at the same time that she learns (quickly) this job. On September 12, 2015 at 2 pm, she decided to send the music title to Tuff Gong , taking care to attach a detailed presentation of her project. The weeks pass without any answer from the label. 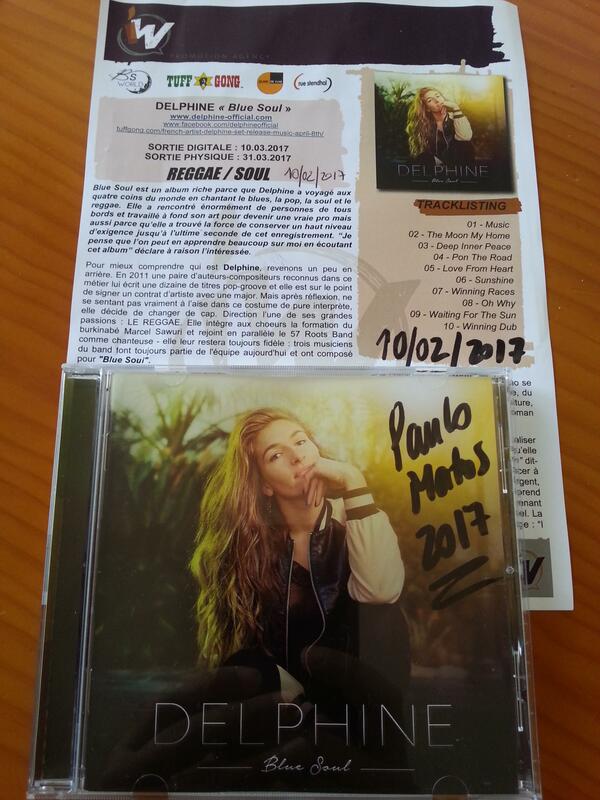 The production of the album continues to advance and one day, the right arm of Cedella Marley sends this little message: "I love it!". The album is signed by Tuff Gong who is in charge of digital distribution for the world and promotion in the USA and the Caribbean. 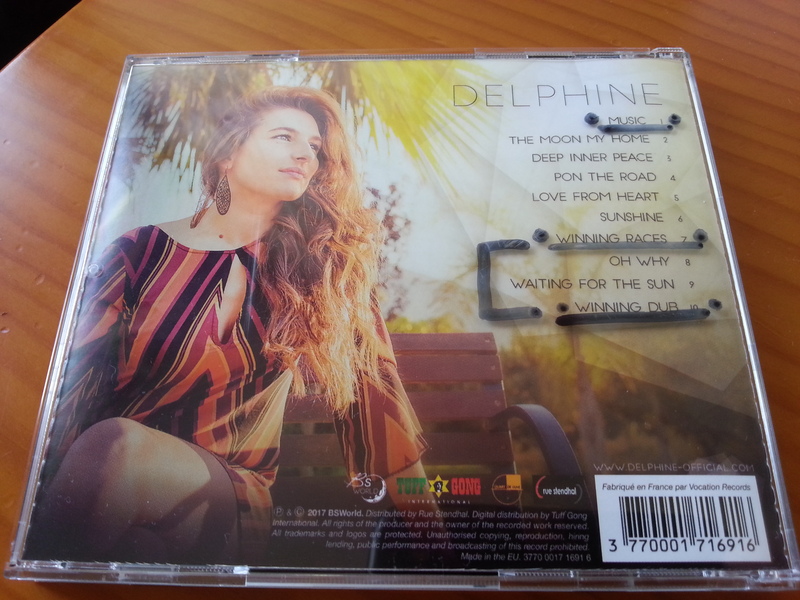 In good "enterprising artist", Delphine wanted the album to be present in the bins in France. Here, at Quart of the Moon (Colocks, Nicodrum, Soul Sindicate & Dub Trooper ...) who organizes this release with Stendhal Street on March 31st. Cancões chave: Music, Winning Races e Winning Dub !